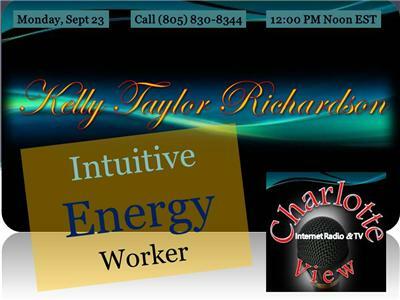 Charlotte View welcomes Kelly Richardson, She is a light worker, an intuitive and Energy healer! For over a year now, she's been immersing herself into the world of possibilities and has been amazed by what she's been able to learn and remember. She's studied intuitive work with the amazing Gina Spriggs. She has also studied an energy healing process called Access Consciousness. With Access she can help people release limiting beliefs that might be holding them back. Access Consciousness is a gentle hands-on practice that she combines with other skills like cutting energetic cords that are draining your energy and pulling stagnant energy out of the chakras to return them to balance. Kelly has the ability to tap into a person's energy field to identify together those issues to work. 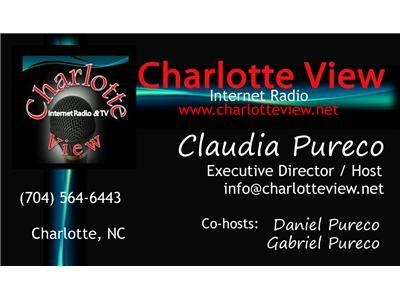 She can do mediumship and she can channel the angelic realm, a spirit being, a live person or animals. She enjoys what she does, meeting new people and knowing she has been able to provide help to others. NOW, is the PERFECT time to learn about it!